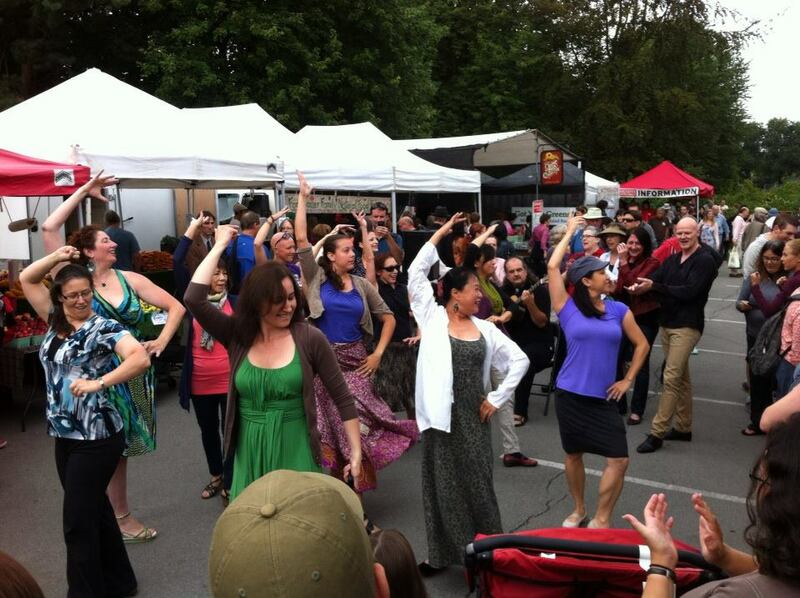 Flamenco Flash Mob on August 3rd 2013 at Trout Lake Framer’s Market, Vancouver, BC, Canada. We danced sevillanas and then danced more sevillanas and then finished with some sevillanas. It was so much fun to watch people’s reaction to the surprise. It was also fun dancing in the street – a public place, doing it just for fun and sharing the joy of dance with total strangers.